During the Browns 2018 Alumni weekend, Eddie Johnson and Erich Barnes were inducted into the Browns Legends program. Eddie Johnson (February 3, 1959 – January 21, 2003) A seventh-round pick in the 1981 NFL Draft, Johnson joined the Browns after finishing third at Louisville in tackles in three separate seasons. In Marty Schottenheimer’s first year as head coach, Johnson registered 172 tackles and 108 solo stops. The following season, he was voted defensive co-captain and earned AP honorable mention All-Pro laurels after finishing the season second on the team with 148 tackles. With a hard-hitting style of play, Johnson helped the Browns claim three consecutive AFC Central Division championships (1985-87). He was also known for his durability on the field as he appeared in 101 consecutive games from 1981-1987. Johnson’s contributions to the organization continued off of the field as he was awarded the team’s Ed Block Courage Award in 1988. After his NFL career, Johnson became an ordained minister in 1993 and dedicated the rest of his life to helping others in the community. Eddie wore number 51 during his time with the Browns (1981-1990) and was nicknamed “The Assassin”. He was known for his fierce tackling style. Sadly, Eddie Passed away in 2003 after a two-year battle with colon cancer. Erich Barnes– Was actually a fourth-round pick by the Chicago Bears in 1958, Barnes brought Pro Bowl and All-Pro experience to the Cleveland Browns when he signed with them in 1965. 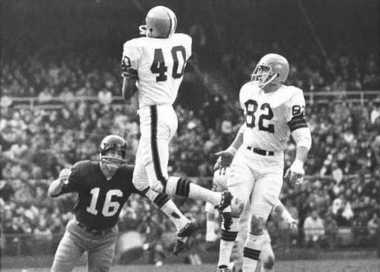 A seven-year player for the Browns, Barnes had 18 of his 45 career interceptions in a Browns uniform, returning three for TDs. Barnes anchored a defensive backfield that made five postseason appearances, reaching the 1965 NFL Championship game, plus back-to-back conference championship games in 1968-69. 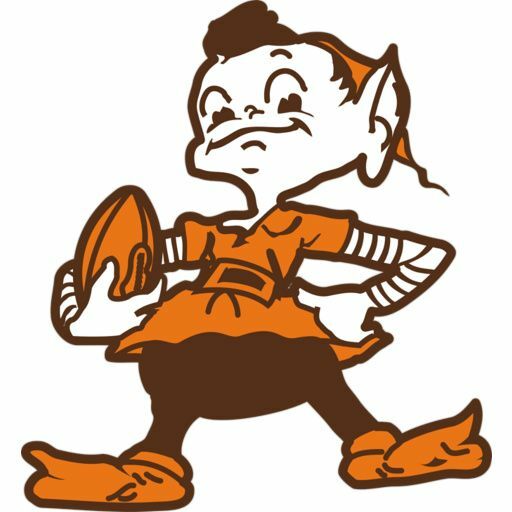 He was selected to a Pro Bowl with the Browns following the 1968 season and totaled six Pro Bowl honors during his NFL career. He was also a first-team All-Pro selection in 1961 and a second-team All-Pro in 1959, 1962 and 1964. A native of Elkhart, Indiana he attended college at nearby Purdue, there he was a three sport athlete. Barnes was inducted into the Indiana Football Hall of Fame in 1968 and the Purdue University Intercollegiate Athletics Hall of Fame in 2009. While with the Browns, Barnes was known for standing at the goalpost (then stationed at the goal line) and blocking field goal attempts. Head Coach Hue Jackson made a nice gesture as he also invited the more than 60 Browns alumni participating in the weekend’s festivities to be special guests during the team’s workout on Saturday morning. Congrats to Eddie and Erich true legends!